I am going to a Bridal Shower this weekend and I've seen so many beautiful ideas - I had to share them! Also, one idea that is shared below, is all of the guests are wearing all white and I think the photos will be incredible! Update: Scroll to the bottom of this post to see photos from the shower! I love this balloon and I am so excited I finally had an excuse to use one! There are many places you can get them and have them inflated. I purchased mine and plan to go to a local florist to have it blown up. I called ahead an got a quote of about $7 to pump it with helium, which is not bad! I contacted a balloon company not too long ago and they quoted me over $75, so I think this was a better route. Okay - I love this idea!!! 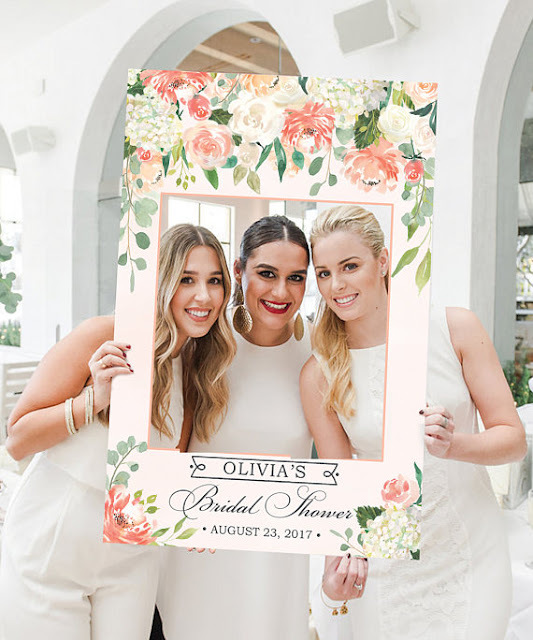 I purchased this exact photo prop frame, and had it printed at a local print shop and I am in love. You can have it printed with the wedding details and then use it for the shower and wedding etc. 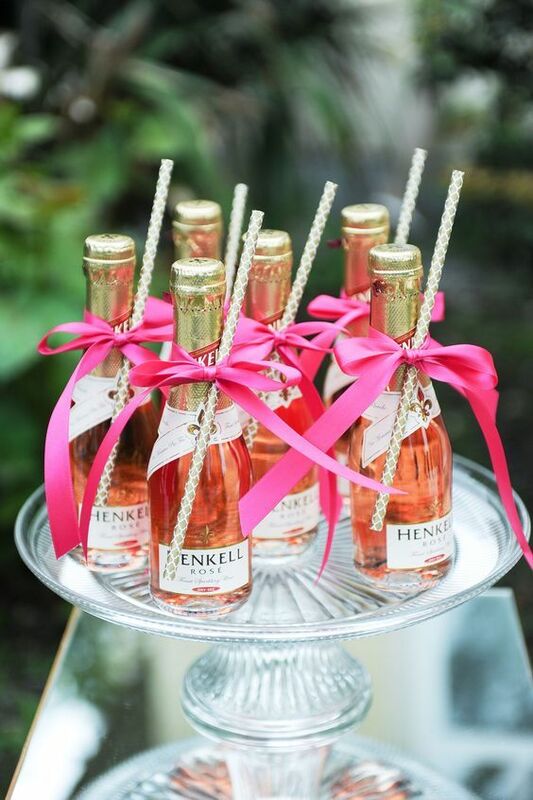 This is such a cute idea, and it can be served at the party or even for guests to take home with them, regardless I really love it! 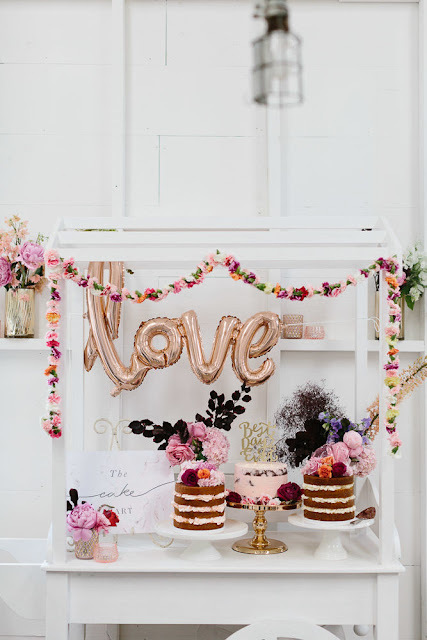 I love the flower garlands in this photo, as well as the cakes with real flowers. This is similar to what we are doing, and placing the real flowers on the cake. 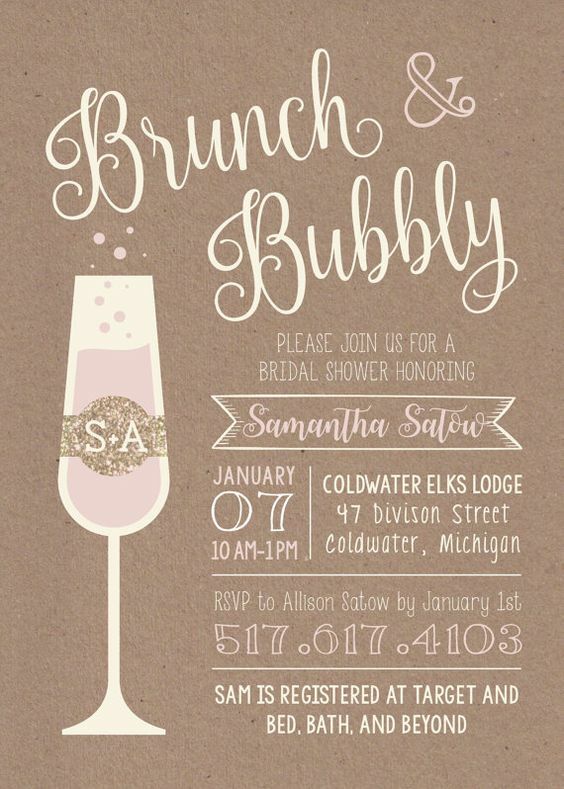 This invite is super cute! I really love the Brunch and Bubbly theme of the bridal shower as well, I think that is really nice and easy for everyone! 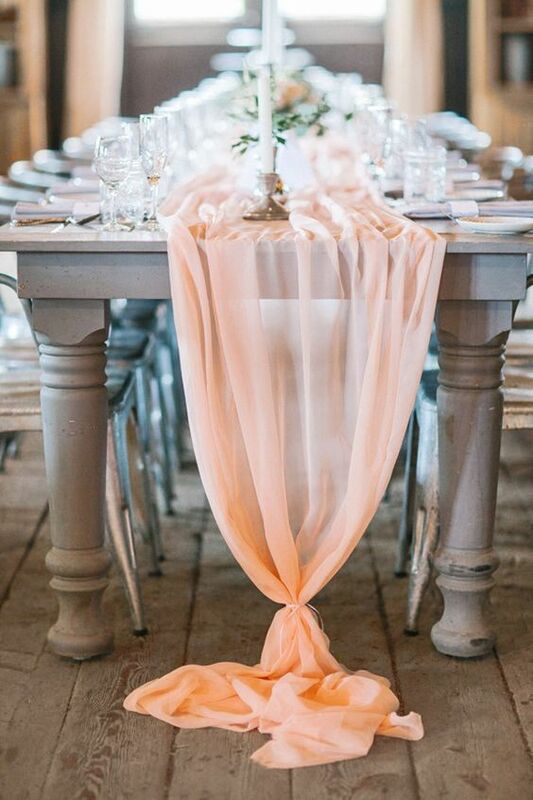 I love this table runner idea, it is so simple, but beautiful with flowers running down the centre. I absolutely love this! The cake and all of the sweets were incredible and from sassyandsweet.ca! 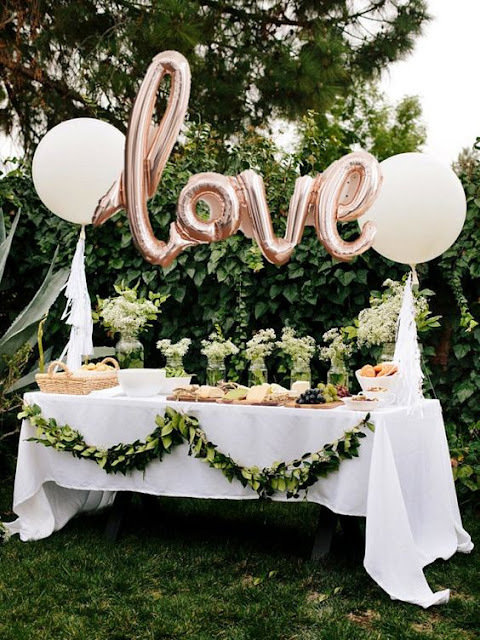 I love these little tassels and paper flowers that we used for some added decorations in addition to the love balloon and white balloons. Super cute bridal shower photos. I am just in love with these arrangements. Everything is mind blowing. I too would be marrying soon at the beachside Chicago wedding venues and my mom recently threw a polka dot themed wedding shower for both of us and that was also very enjoyable.